Vitalik Buterin is a Russian-Canadian programmer and writer. A cryptocurrency wunderkind, he is known for co-founding Bitcoin magazine and Ethereum. When he reached 23 years old, Ethereum became the second-most valued cryptocurrency platform after Bitcoin with a market cap of over $65 billion. 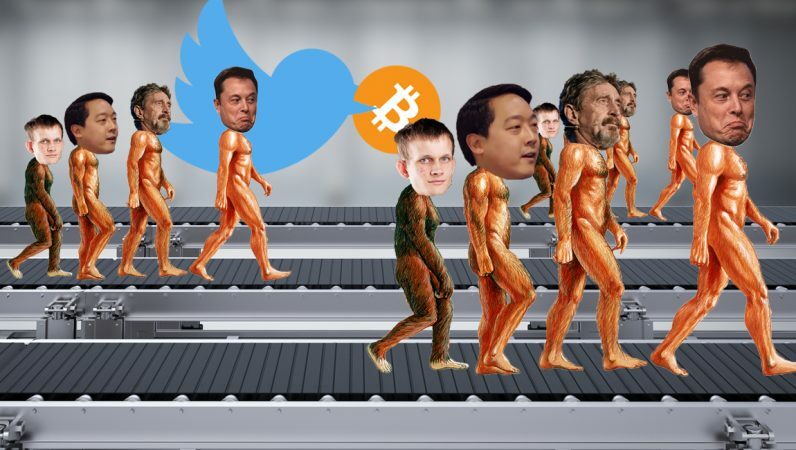 Since then, the cryptocurrency community has kept a keen eye on Vitalik as its boy genius. 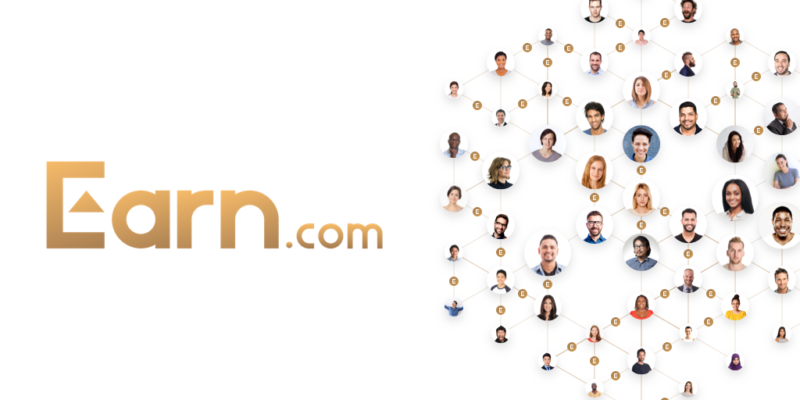 Buterin was born in January 31, 1994, in Kolomna, Moscow Oblast, Russia. He moved to Canada with his parents at the age of 6. At a young age, he showed signs of spectacular skills, with the alleged ability to calculate three digit multiplications faster than any human being of his age. This prodigy-like character lend to his being somewhat of an oddball amongst his peers. The isolating social scenario of being treated like an oddball math genius and an immigrant led to Vitalik spending more time on the internet. Dmitry Buterin, his father, is also a computer scientist. 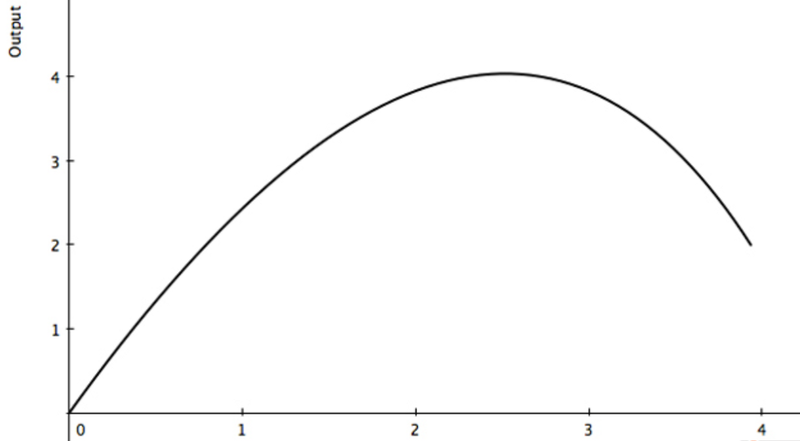 Naturally, Vitalik began to show a predisposition towards programming, economics and mathematics. He completed his schooling at the Aberald School in Toronto with a goal to make learning a vital drive in his life. Learning did not only mean academics or programming, since he has also spent a lot of time and effort into World of Warcraft. Along this line of passionate learning, he ventured into the world of cryptocurrencies. After hearing about Bitcoin from his father, Vitalik began researching and writing about cryptocurrencies. This started with an online project of selling articles for Bitcoins on various forums. 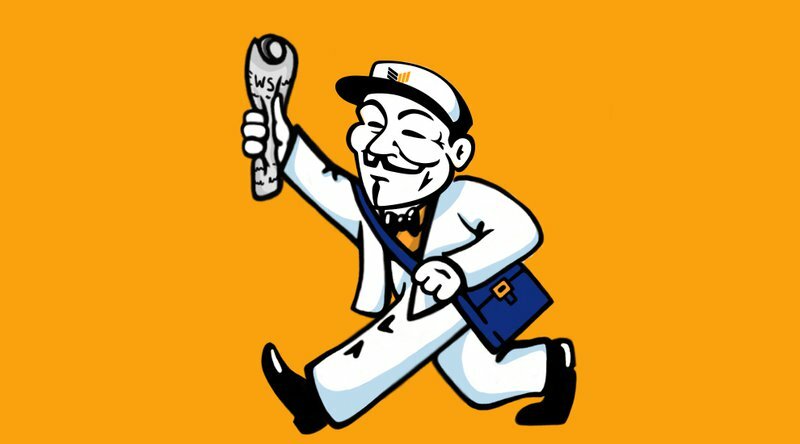 The project eventually became Bitcoin Magazine, the first publication dedicated to cryptocurrencies. He has also contributed to Ledger, a scholarly journal with research of cryptocurrencies and Blockchain technology. He then released the white paper for Ethereum in 2013, arguing that Bitcoin needed a scripting language for application development. Since then, Vitalik has been making history. 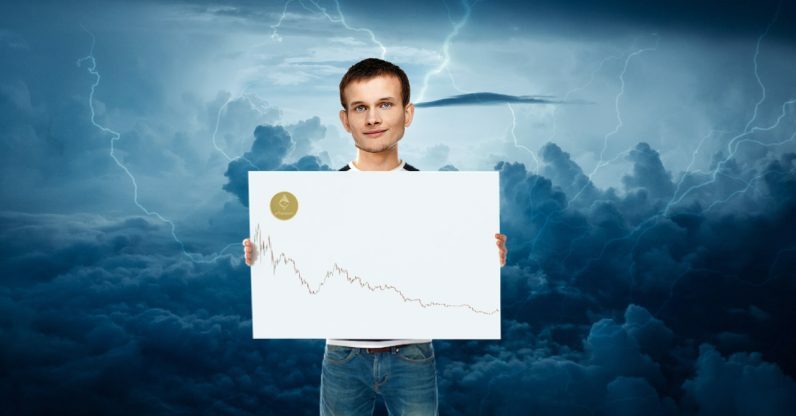 From a fake death hoaxes to potentially being a crypto-ally with Vladimir Putin, Vitalik is one of the most important figures in the cryptocurrency space today. Economists have been reluctant to embrace crypto. A quick look at early publications on the Blockchain Research Network (a research database that I run) tells a tale familiar to any serious student. So far academics have mostly asked whether questions like “is bitcoin really money?” and, unsurprisingly, this reductive line of inquiry failed to entice many actual economists. 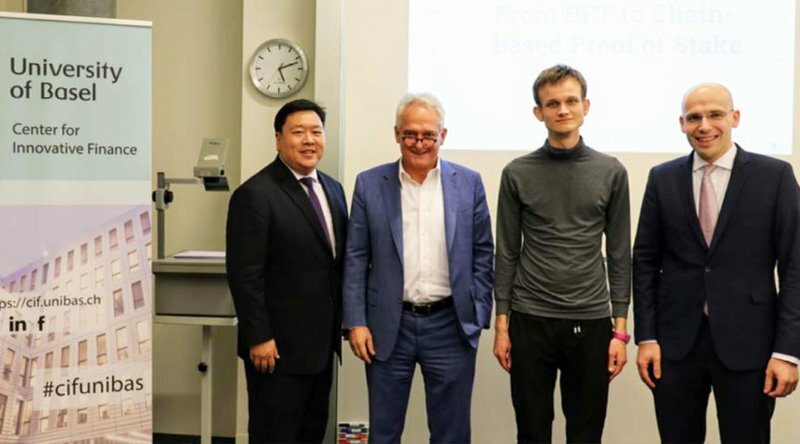 The professional feud between the Tron Foundation’s founder, Justin Sun, and Ethereum’s Vitalik Buterin is well-known. The full ‘battle’ can be read here on Chepicap or ToshiTimes. Depending on your philosophy, it seems like Justin appears to be winning on the surface. With USDT-Tron’s official launch be tomorrow, can a stablecoin put Tron (TRX) far ahead of its competition? 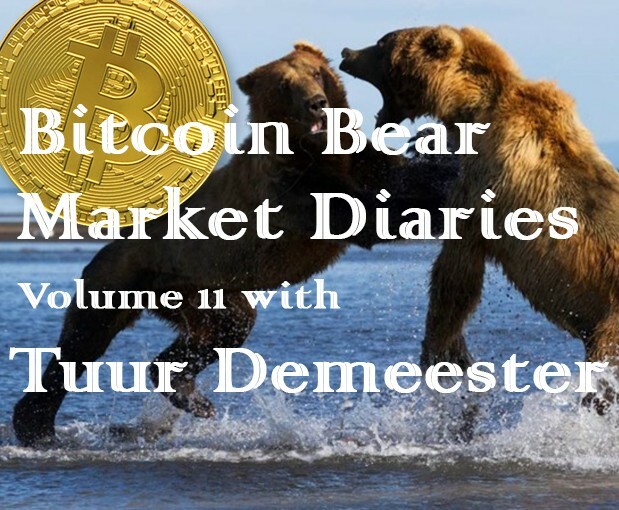 Over the past few years, famous cryptocurrency personalities have been attacking each other and their different views regarding specific issues and ideas on the future of the crypto space. 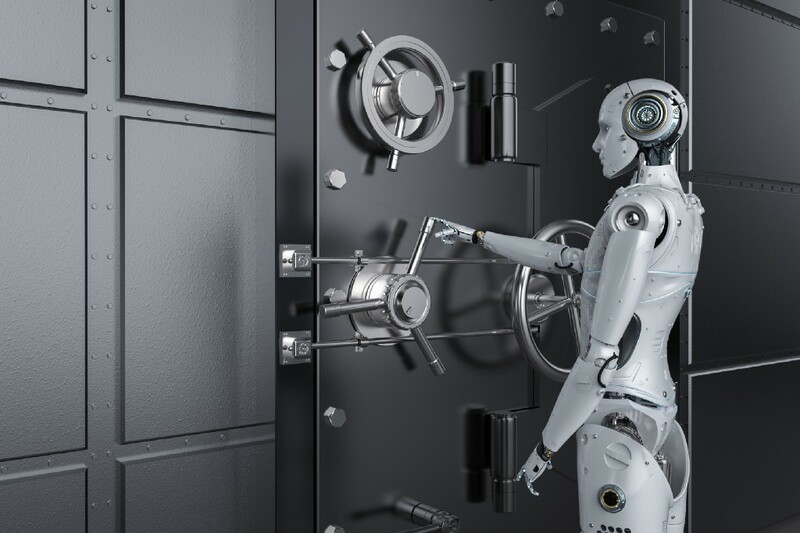 However, for the crypto space to continue its development, there is a need to have more scientists, solid foundations, real utility apps, and so much more. A “grey” paper. A token “Phoundation.” A chart comparing the token to the value of the earth. A ton of fake trading. And what do you have? 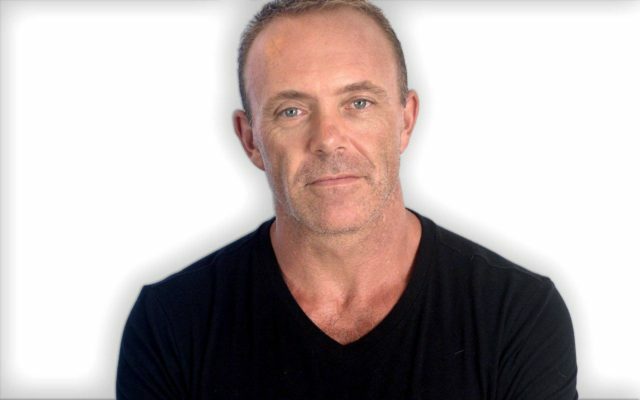 PTK - the token whose value sits at $3.6 quadrillion and whose supply is owned by Colin Platt. It’s the Fyre Festival of ICOs, and intentionally ridiculous. 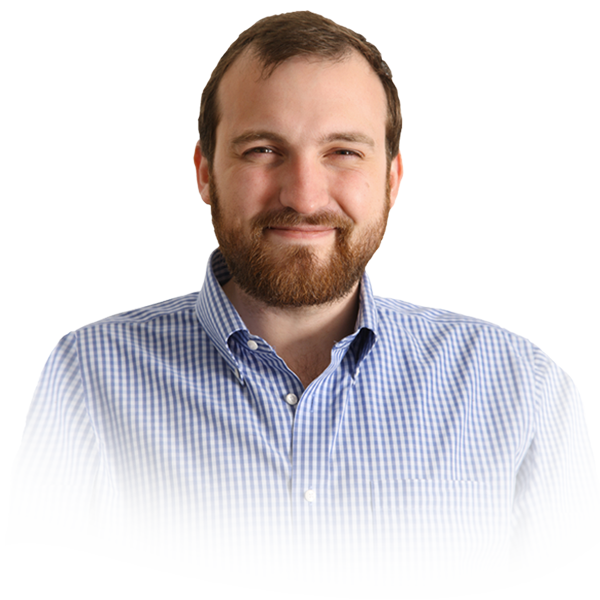 Charles Hoskinson believes blockchains are ushering in a new era for both business and government administration, one defined by a peculiarly unprecedented quality: leaderless-ness. 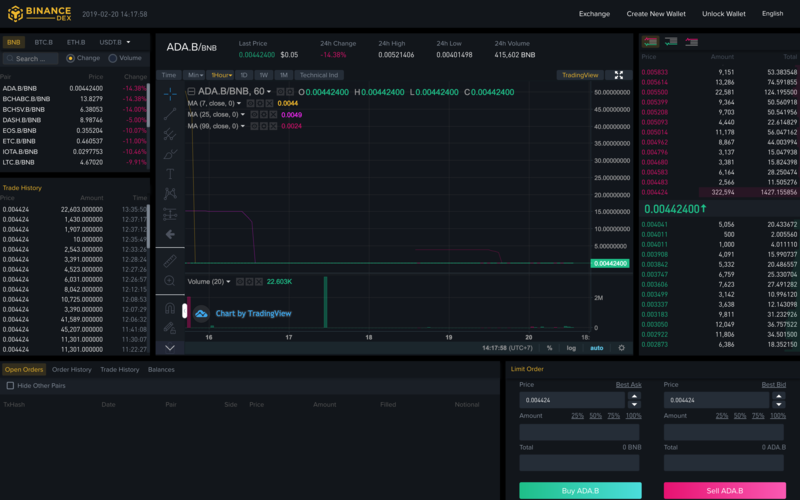 The future of scalable blockchain tech just received another boon as O(1) Labs, the builders of the “tiny blockchain in your browser” project Coda Protocol, have successfully completed a new $15 million USD funding round. 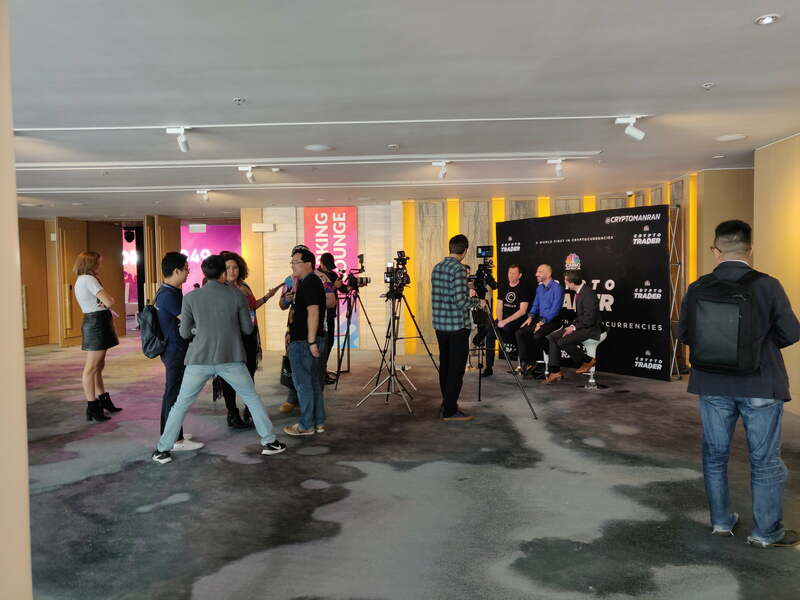 If you were a crypto enthusiast in Seoul this week, you were almost certainly witnessing the showdown between two of the industry's most recognized faces. 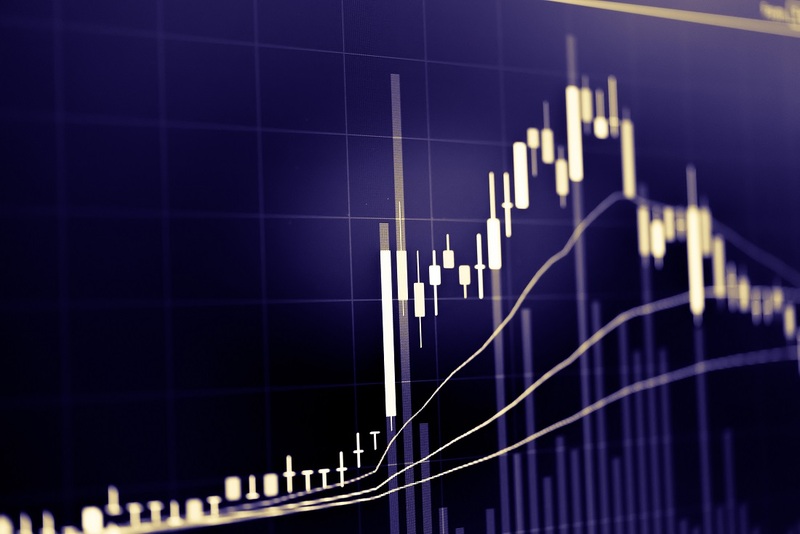 The market is under fire the last few days as the general public have finally realized that a major chunk of liquidity on exchanges does not actually exist. This has been taken as a negative for cryptocurrency growth and adoption, but I guess someone forgot to tell Bitcoin’s price action! 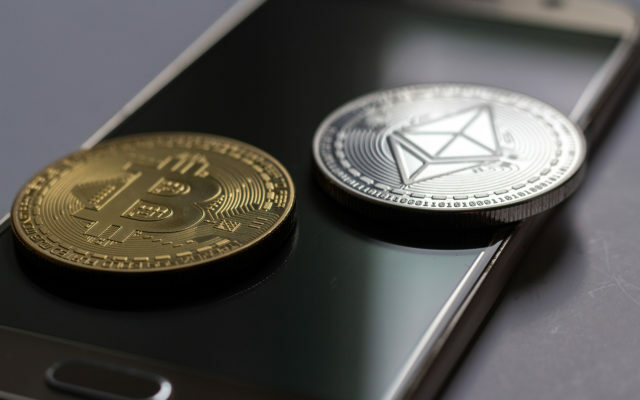 With Ethereum (ETH) retreating from all-time highs and settling between $100 and $150, some are suggesting the world’s second largest crypto is losing momentum. 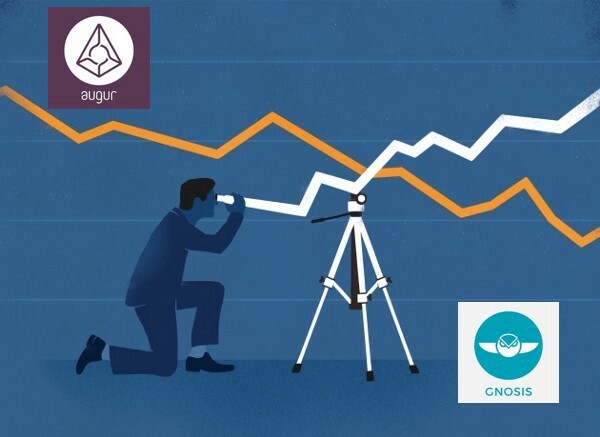 A recent report from Bloomberg showed that both EOS and Tron have surpassed the platform in popularity with both users and developers, putting its market share in danger. The crypto sphere was awash with gags on April Fool’s day, mostly from rival clans having a dig at each other. What would have been more serious is a manipulated pump for an altcoin and it just so happens that this appears to have occurred with crypto clown Dogecoin. Asia's crypto market is heating up. This week, Gitcoin co-founder Kevin Owocki gave a presentation at CoinFund’s monthly Rabbithole Talks on open source sustainability efforts. 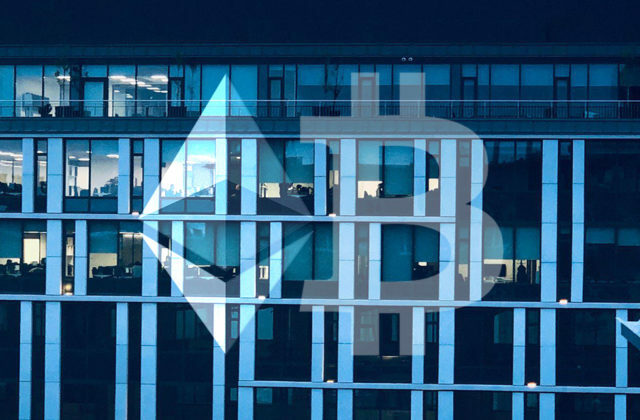 Therein, he surveyed a series of development funding possibilities whose profiles have surged in the Ethereum community over the last month as builders have grappled with finding the best funding paths forward. 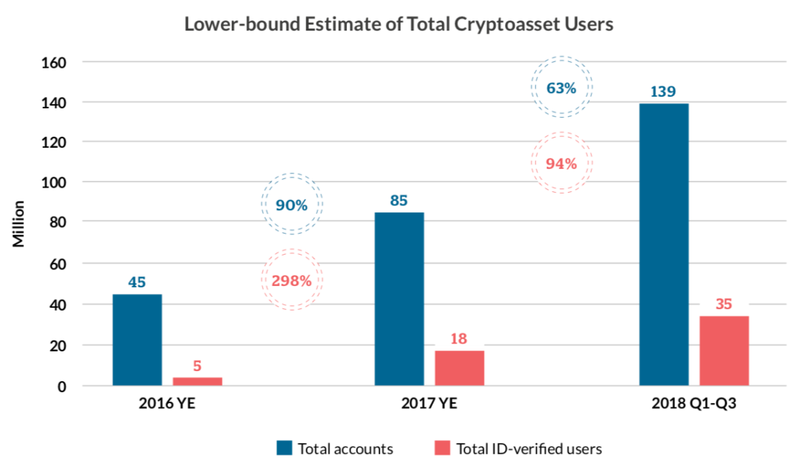 Last year, the narrative was that institutional money was going to wrest cryptocurrencies from bears’ grasps. 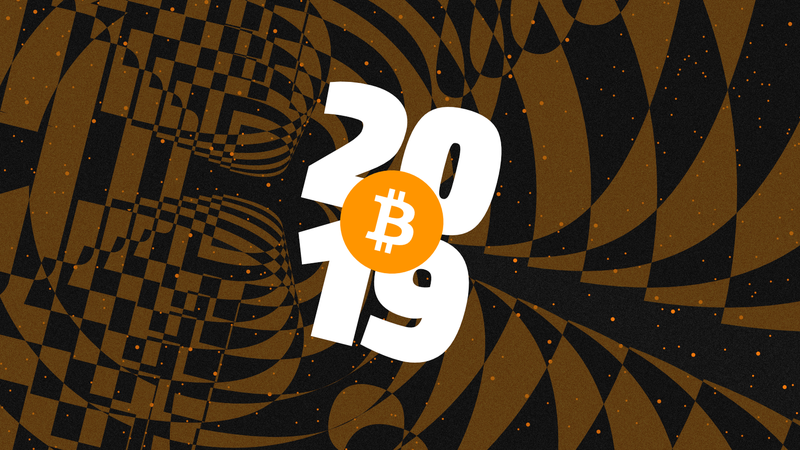 This year, it seems that investors are latching onto the impending Bitcoin (BTC) block reward reduction (halving), which will reduce natural selling pressure on the crypto market. 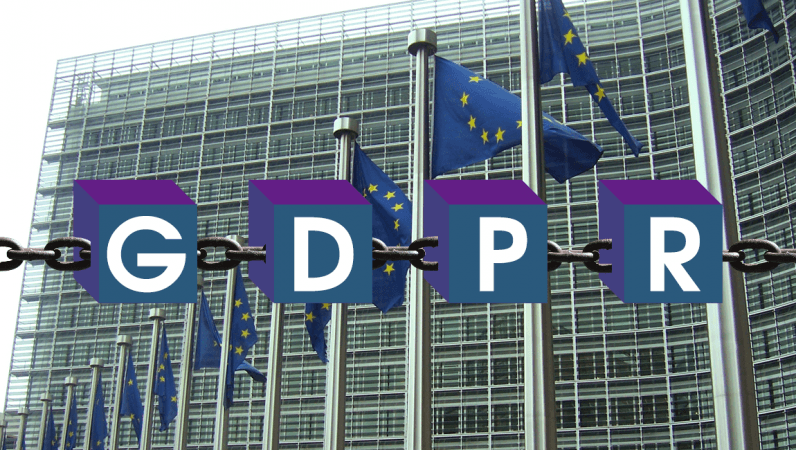 On Sunday, Ethereum cofounder Vitalik Buterin called for blockchain developers to think proactively about how their work can build new systems for organizing society, instead of just tools for privacy and independence. The speech was delivered at RadicalxChange, a conference co-conceived by Buterin and economist Glen Weyl to expand the ideas in Weyl’s book Radical Markets. Vitalik Buterin, one of the most influential people in crypto and the figurehead behind Ethereum, recently clarified his fiat holdings in response to an analysis of his transaction history on his main wallet address. 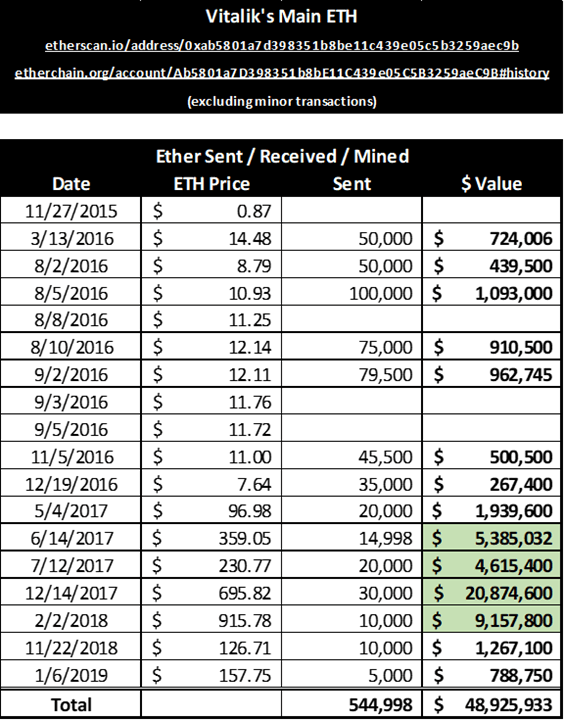 Based on Buterin’s cryptocurrency wallets, cash holdings from ETH sales, equity, and his annual salary, CryptoSlate estimates Buterin’s net worth at $79 million. Vitalik Buterin, wearing his traditional whimsical garb (a celestial T-shirt with some kind of animal on it), stands on stage next to Laura Shin, crypto journalist and host of the Unchained podcast. She’s wearing a tasteful, wide-legged red pantsuit. They both look great. They sit down. 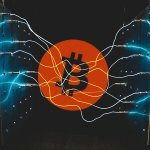 As made easily apparent by a mass of recent developments, like Vitalik Buterin’s latest topical update on Ethereum, Samsung’s consumer-facing crypto solution, and the swelling Bitcoin Lightning Network, now is the perfect time for industry stakeholders to bear down, test, and post stellar results. 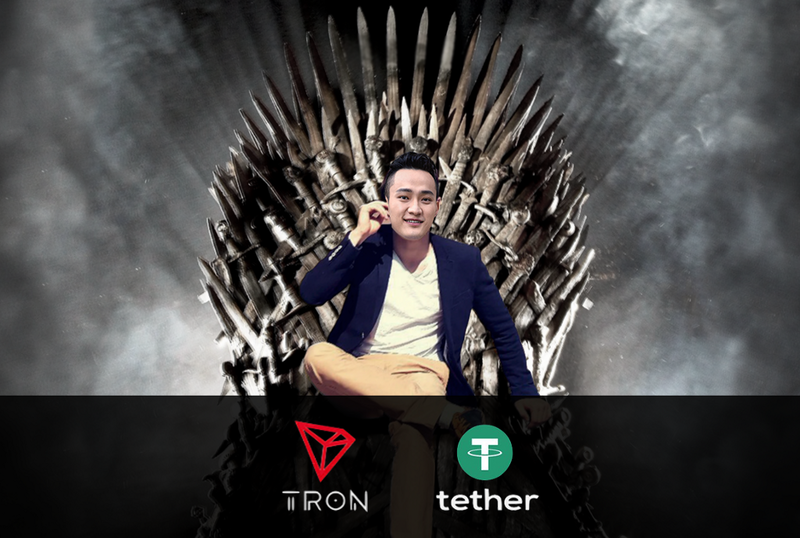 Justin Sun, founder of TRON and current CEO of BitTorrent, is planning a $20 million cash airdrop and a Tesla giveaway. 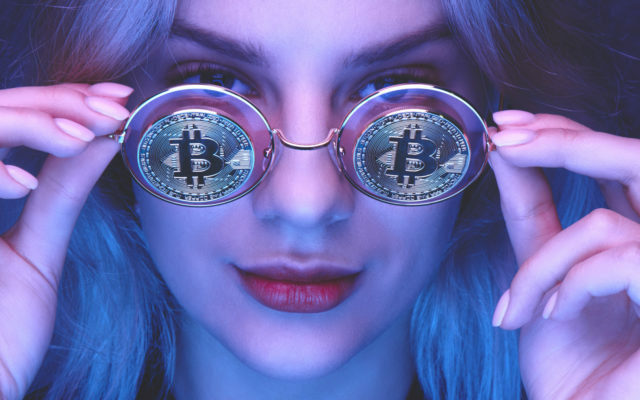 While cash airdrops are generally well received by the crypto community, many have raised questions about the fiscal responsibility of the move. The so-called “crypto winter” has slammed industry participants en-masse. But, there has been one firm that has been seemingly been left unfazed. The San Francisco-based Ripple Labs was recently revealed to have made a purportedly cash-only $100 million deal with a blockchain gaming upstart, which intends to build out a web of decentralized applications built by gamers, for gamers. Ethereum co-founder and cryptocurrency industry mainstay Vitalik Buterin has proposed a controversial method for increasing ETH developer fund support: imposing gas fees on wallet transactions. 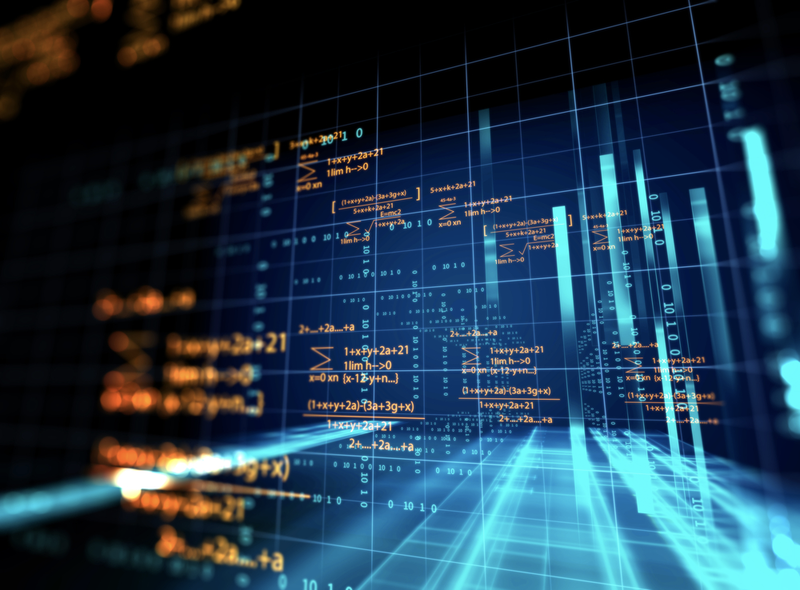 A new report confirms the industry belief that Ethereum has the largest coding development support of any cryptocurrency. For the longest time, the developers behind the Ethereum (ETH) blockchain have had their eyes set on Proof of Stake (PoS). 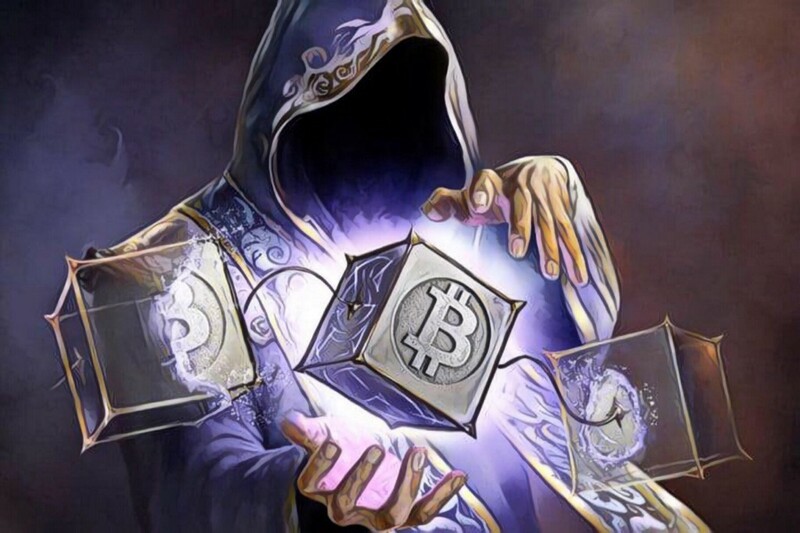 Serenity, as core developers call the iteration of their brainchild based on staking rather than mining, is slated to come to fruition over the coming years. 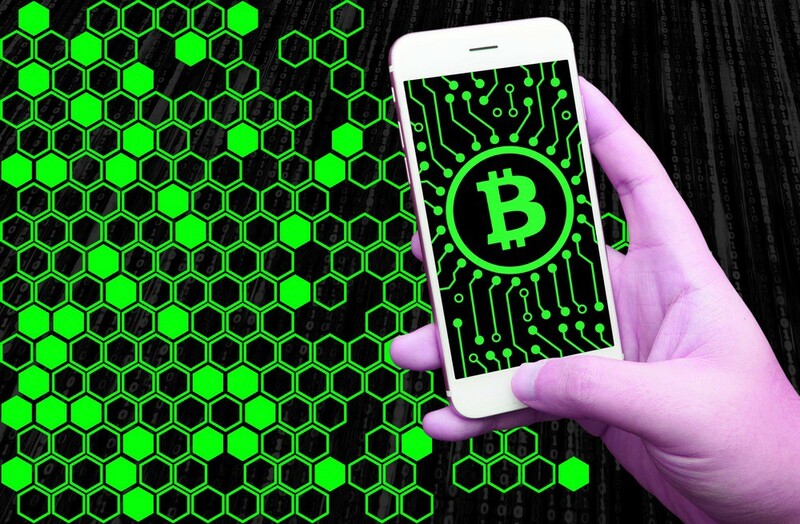 In the fast-paced world of blockchain innovation, the world’s second-largest cryptocurrency already is being left behind. For Vitalik Buterin, creator of Ethereum, his project holds many advantages over Bitcoin, and he proudly illustrates with simple words why that blockchain 2.0 has enough merits to be the most important altcoin in the global marketcap. Not every blog can be a source of trustworthy information. Especially in blockchain industry, where every possible channel of data seeding might be used to promote some sort of scam. 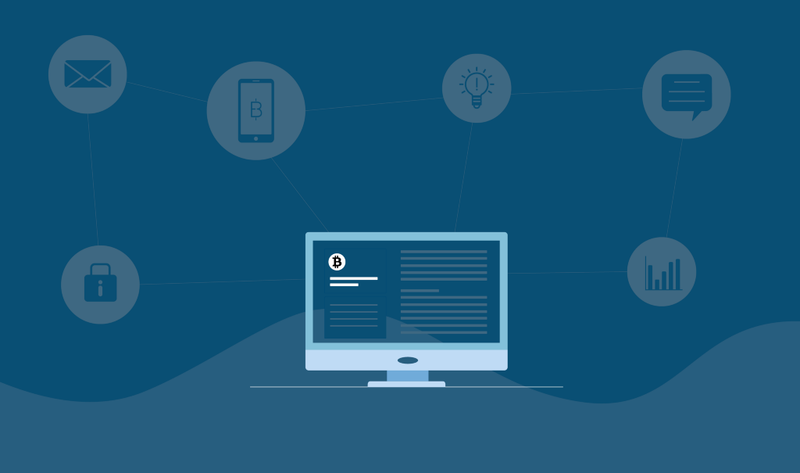 Since we’ve went through a huge number of resources during our due diligence processes, we can now share with you some of the blogs that deserve your attention. In nearly three hours the Constantinople and St. Petersburg upgrades are scheduled to go into effect on the Ethereum network, and many are waiting patiently. 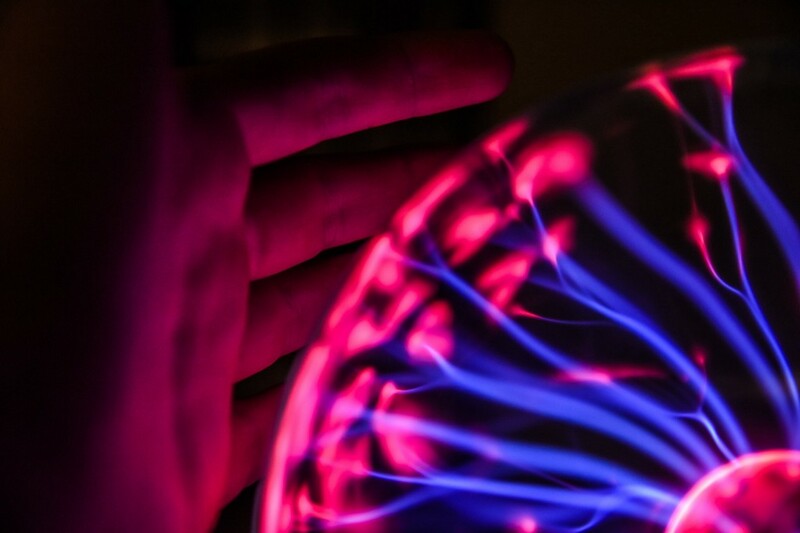 In early 2016, I speculated that decentralized prediction markets could give us the power to easily “Google” the probability of any imaginable event occurring.¹ Now that the first market has been running for seven months, it’s time to re-evaluate the potential of what was at the time a theoretical and unproven technology. 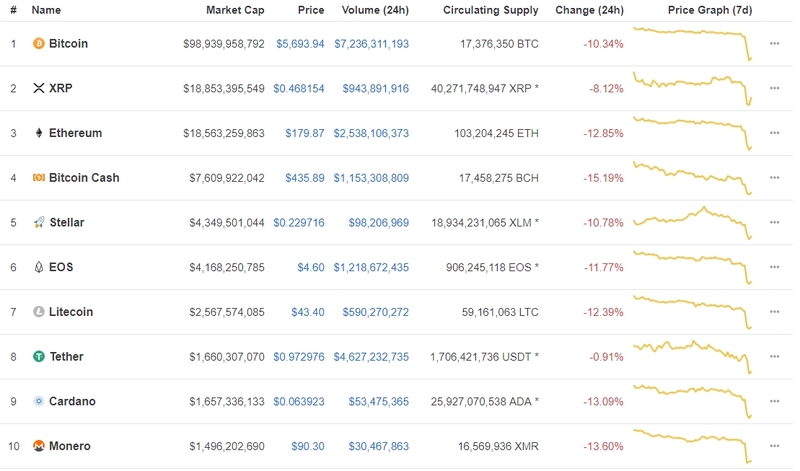 Despite a bit of a rocky start this morning, it appears most crypto markets have found their pace again. Nearly all top markets are in the green, which is always a peculiar sight. 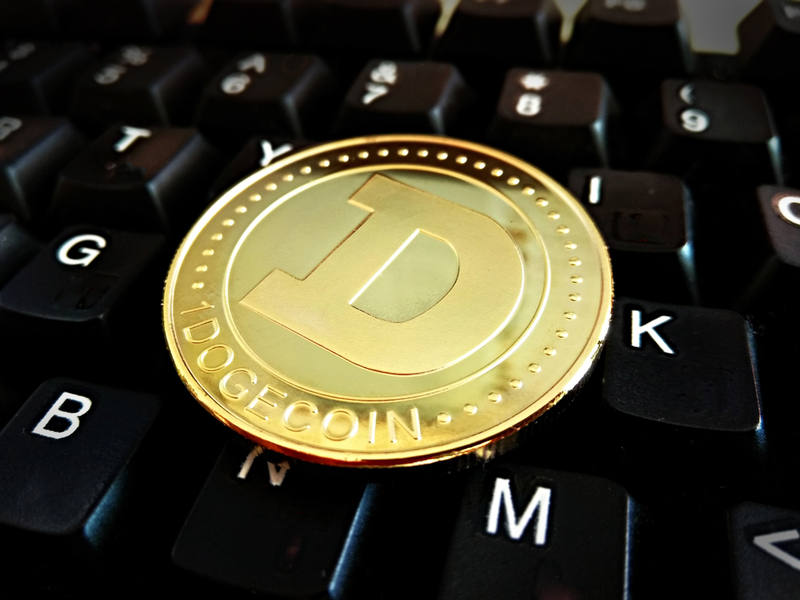 As far as the Dogecoin price is concerned, the uptrend is still in effect. A push to $0.0021 may very well occur over the weekend. 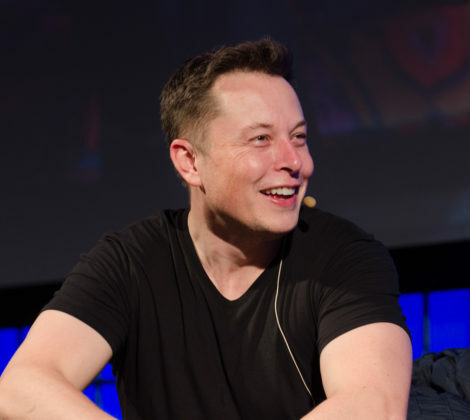 Elon Musk stole Tom Edwards’s drawing of a unicorn farting into an electric car last year. Now, thanks to automated drones and blockchain technology, that drawing is prominently displayed on a wall in Mexico City’s busy Roma Norte district. At least 26,500 Bitcoins, 430,000 Ether, 11,000 Bitcoin Cash and 200,000 Litecoin have disappeared forever. Vitalik Buterin, archangel of Ethereum, has disclosed his non-ether/Ethereum ecosystem crypto holdings. The Bitconnect ponzi scheme managed to rope in a lot of investors in the two year period it was operational. From February 2016 till January 2018, BCC was the coin that guaranteed profits for many investors. 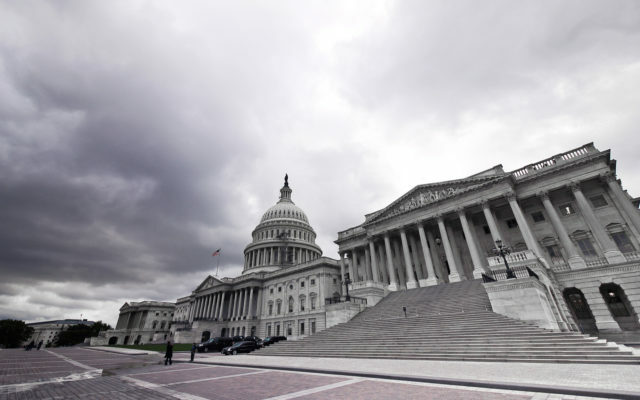 Some estimates put customer losses to around $1 Billion due to its eventual collapse. 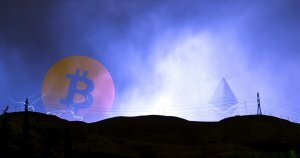 Bitconnect’s business plan allowed its investors to lend Bitcoin for interest. In what some view as a landmark move, Google developers have added the bitcoin currency symbol to the iOS keyboard. Vitalik Buterin’s public request to add an ethereum symbol, however, was met with an unceremonious blow-off. 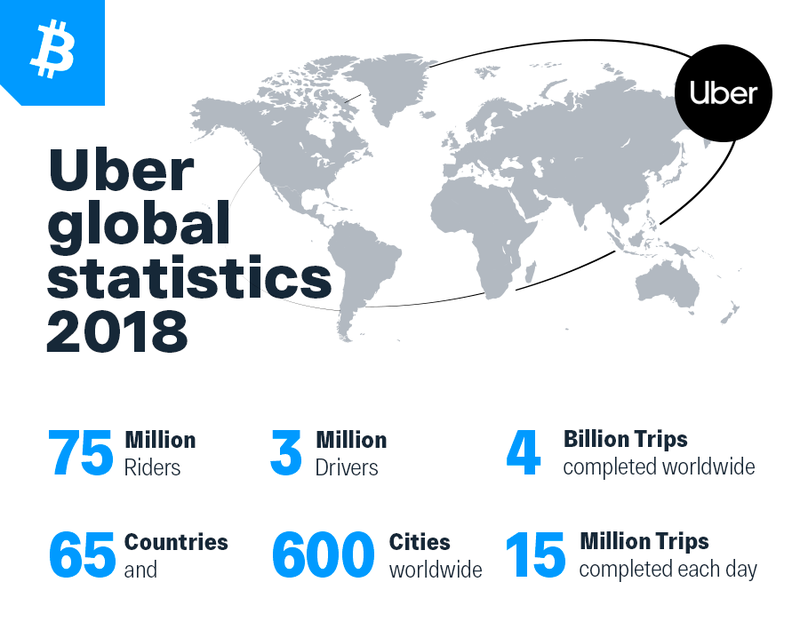 The move, by a company so successful it’s evolved its domain name into a verb, reflects Bitcoin’s mainstream trajectory. Two days ago, Hudson Jameson, a Developer and Co-Founder of Oaken Innovations, proposed a Reddit AMA to clarify certain points regarding leadership and accountability in the Ethereum community. This was due to a controversy that arose as a result of Afri’s announcement to abandon the Ethereum project. 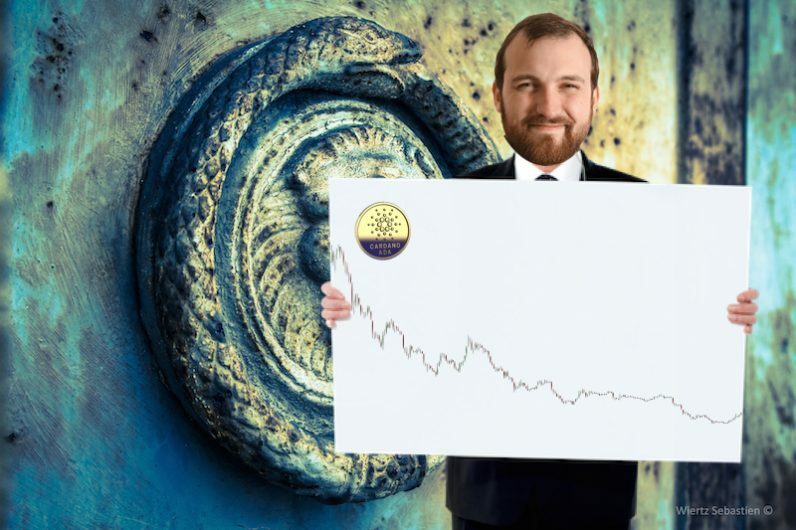 During YouTube’s Cryptocurrency Virtual Summit, the co-founder and creator of the 11th largest digital coin by market capitalization – Charles Hoskinson, also co-founder of Ethereum [coin lead by Vitalik Buterin], dug dipper into the progress which Cardano made until now since its debut and what kind of mindset does it take to run a project of this scale even during cold weather. 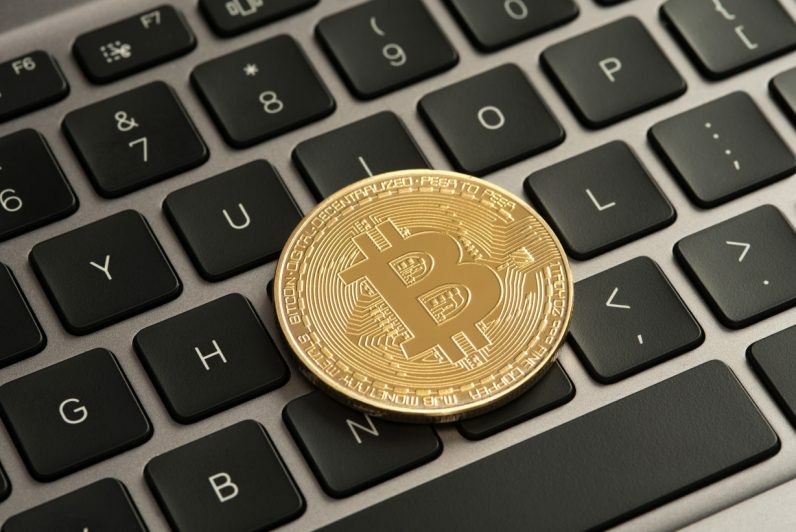 JPMorgan's (JPM) decision to launch a new digital coin to enable the instantaneous transfer of payments is a turning point for the adoption of blockchain technology in the financial sector. 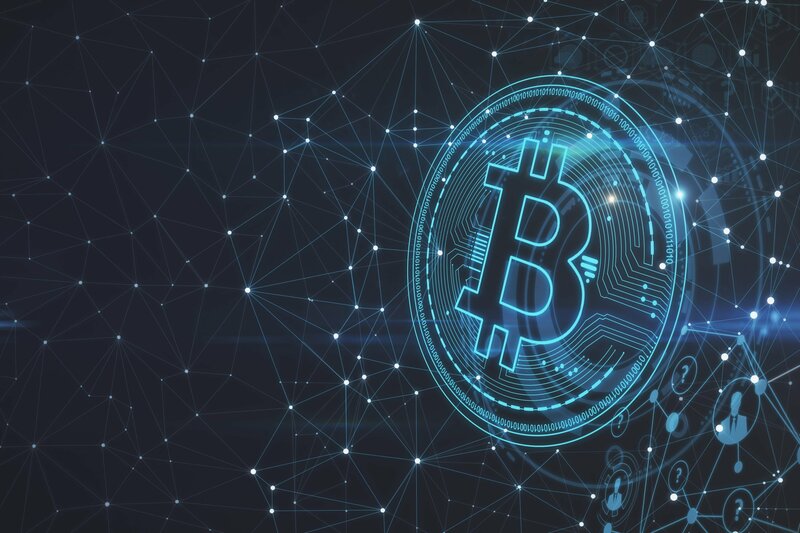 Although CEO Jaime Dimon is a well known critic of Bitcoin, he believes in the underlying technology behind its creation. 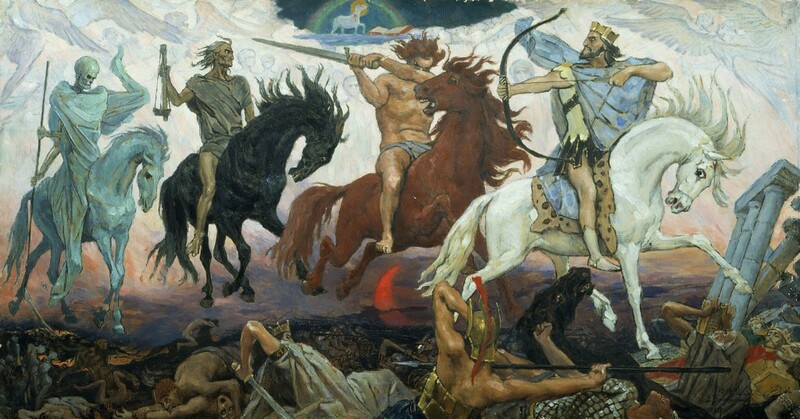 Although the crypto industry is showing strong adoption and development as we start 2019, there’s Four Horsemen of the Cryptocalypse who would rather watch blockchain bend the knee, or bend it to their will. 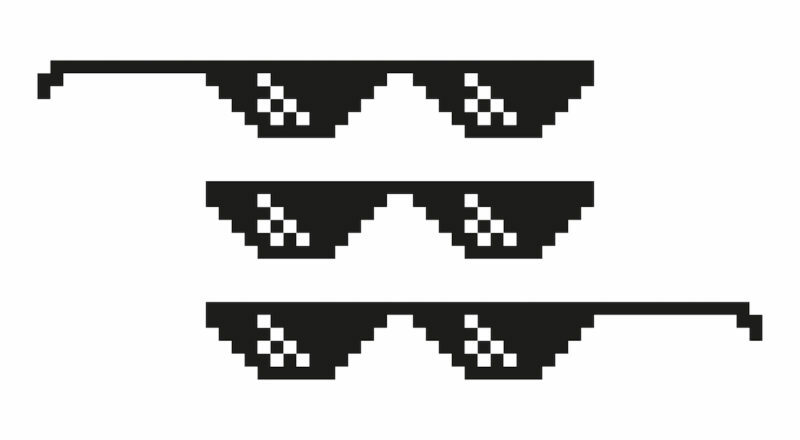 I had hoped that I would never reach a stage in my life where I would be writing about memes and Twitter battles, but then Parity’s Afri Schoedon tweeted a meme comparing Polkadot to Ethereum’s Serenity, several people expressed their displeasure in their own tweets, and, sigh, here we are. Ethereum (ETH)–Co-founder of Ethereum and cryptocurrency figurehead Vitalik Buterin has denied rumors that a proposed feature in the upcoming Constantinople hard fork will allow for an attack vector on the ETH currency. Per time of writing the 20th largest coin by market capitalization Zcash is counting 4.45% gain for the last 24-hours against the US Dollar. 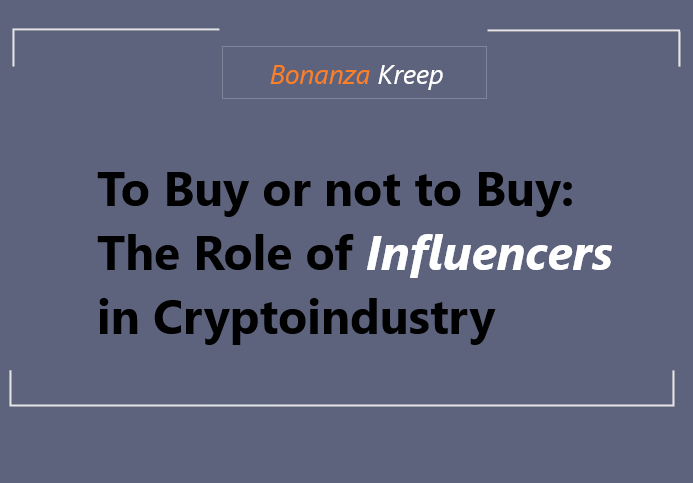 In a keynote speech given at the Conference in the first half of January 2019, Ethereum co-creator and blockchain celebrity Vitalik Buterin made yet another of his controversial and eyebrow-raising claims. Long-time Bitcoin advocate Jack Dorsey, the incumbent chief executive of both Square and Twitter, doubled-down on his public displays of affection for the cryptocurrency on Tuesday. Securely scaling blockchains is a significant problem to solve. 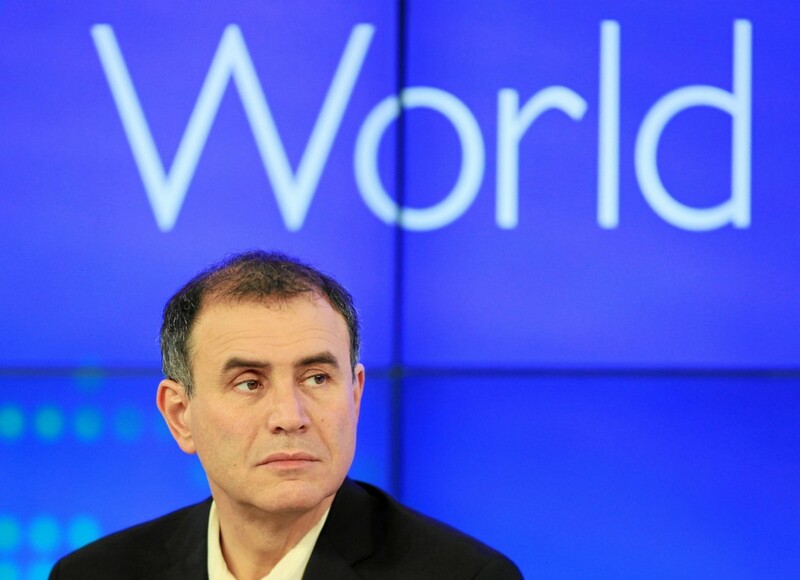 Failing to do so could compromise real-world impact of public-blockchain technology. Blockchains are slow and bottlenecked by limited scalability. Meanwhile, decentralized databases maintain many of the benefits of a blockchain while potentially addressing scalability. Are these systems a viable alternative? 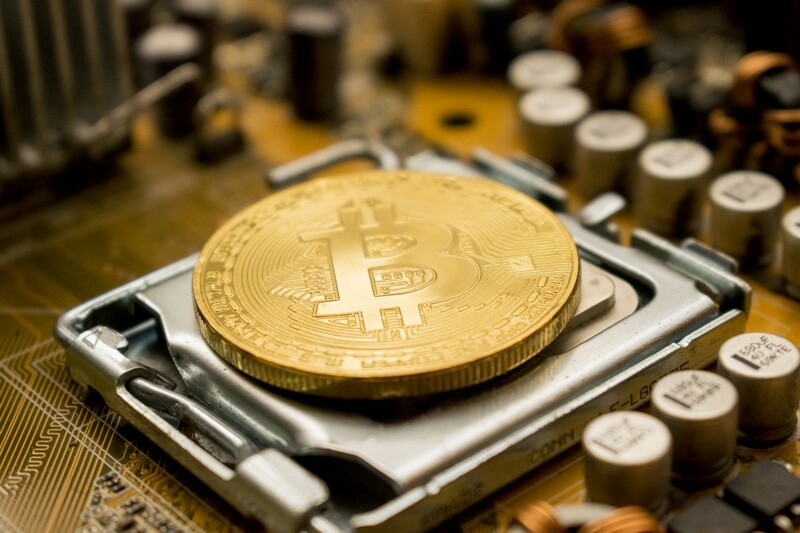 It isn’t a secret that cryptocurrencies, like Bitcoin (BTC) and Ethereum (ETH), have struggled to gain steam in traditional, brick & mortar retail outlets. 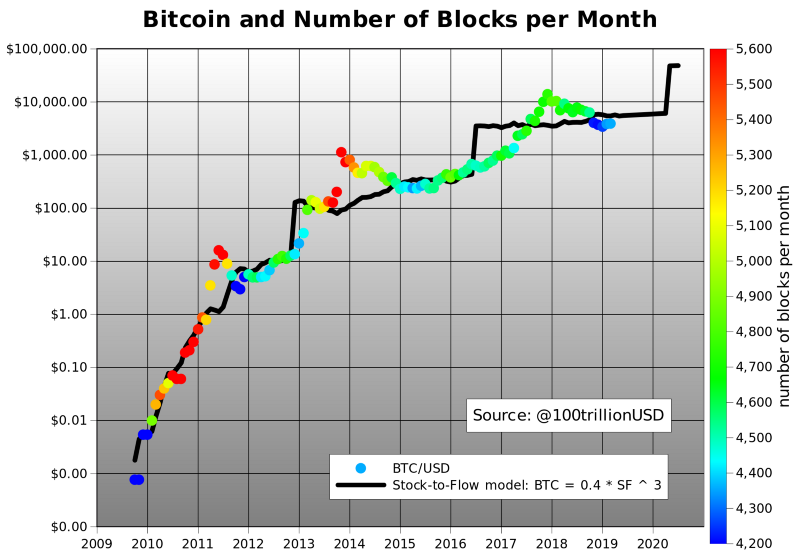 In fact, per a recent article series from Vitalik Buterin-founded Bitcoin Magazine, use of digital assets in the real world was just as difficult three to four years ago than it is now. 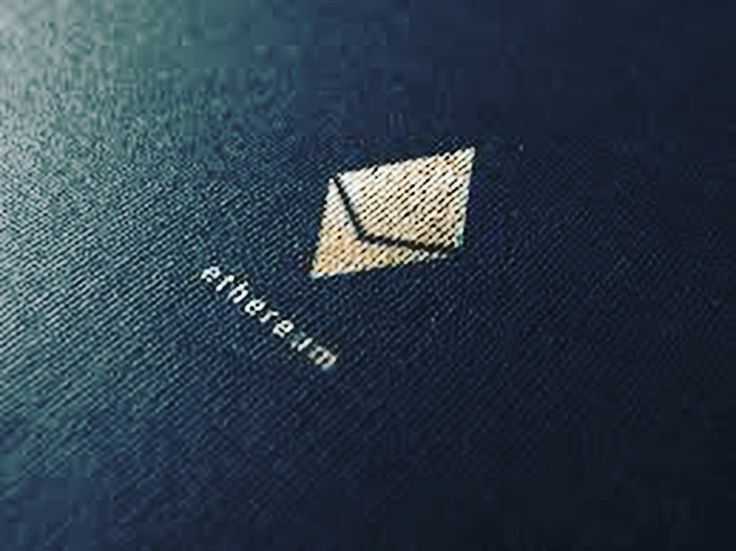 Earlier this week, Ethereum World News reported that Ethereum’s long-planned Constantinople blockchain upgrade fell upon hard times, with developers drawing attention to an error in the protocol’s code, which would purportedly allow malicious attackers to drain ETH from smart contracts. As this news propagated, the market fell, with Ether falling by upwards of 5% in a few hours’ time. 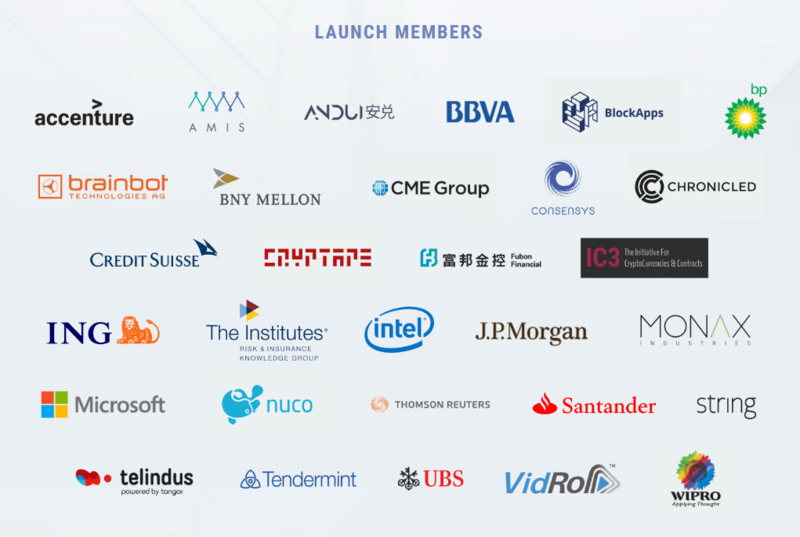 The third Blockchain Connect Conference was held on Jan 11, 2019 in San Francisco. 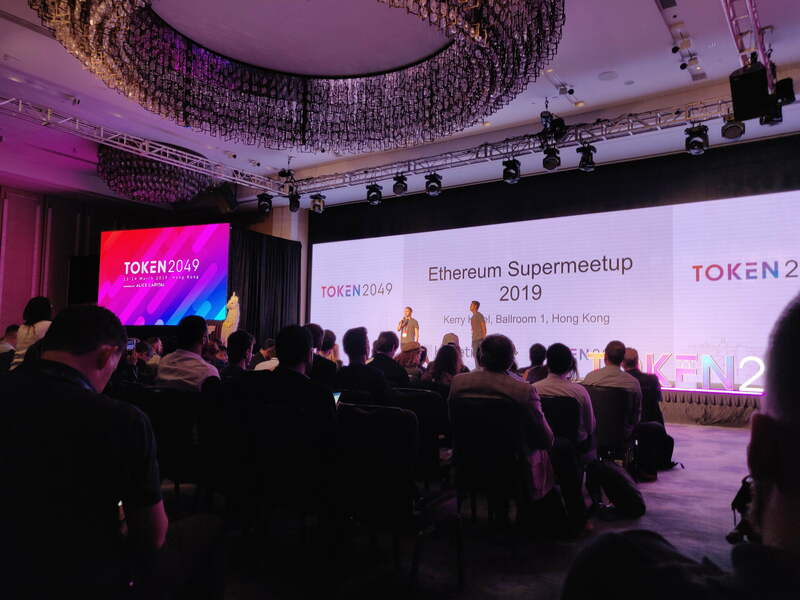 The most anticipated part of the conference was definitely the closing speech by the founder of Ethereum Vitalik Buterin. 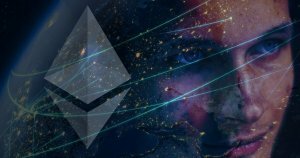 How will Ethereum continue to develop? 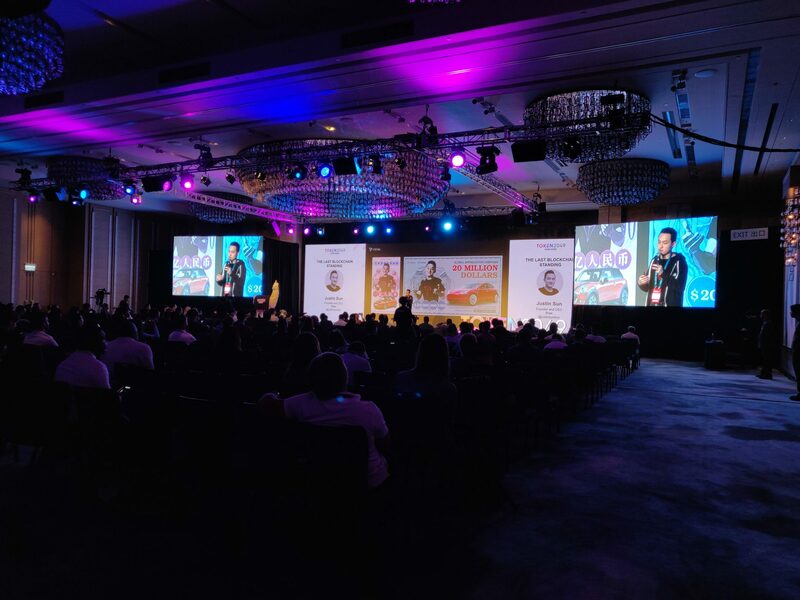 Vitalik highlighted CBC Casper and Ethereum 2.0 at the conference. Just one day before Ethereum’s Constantinople network upgrade was set to take place, ChainSecurity, a smart contract auditing service, disclosed an unintended consequence related to EIP-1283’s introduction of cheaper gas costs for SSTORE operations, which could open up existing contracts to reentrancy attacks. What did the blockchain experts like Vitalik Buterin and David Chaum say at the event? At some point on Wednesday night, the Ethereum network will mine block number 7,080,000, and the Constantinople hard fork will come into effect. 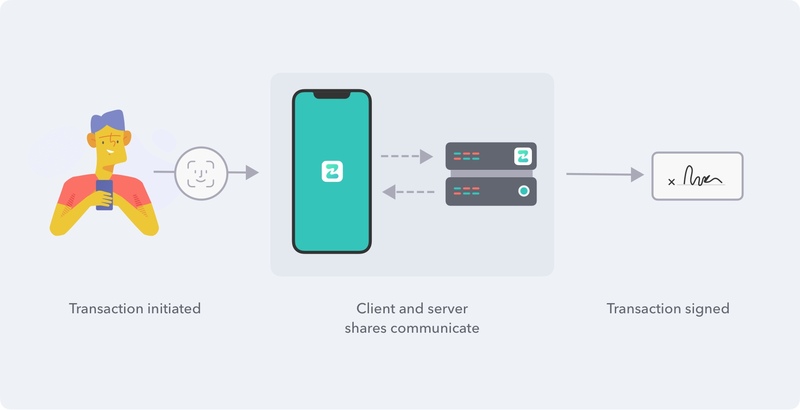 Vlad Zamfir, one of Ethereum’s lead researchers, is stepping back from the blockchain empire to collaborate with Casper Labs, an R&D startup building a “fully scalable blockchain”, The Block can confirm. 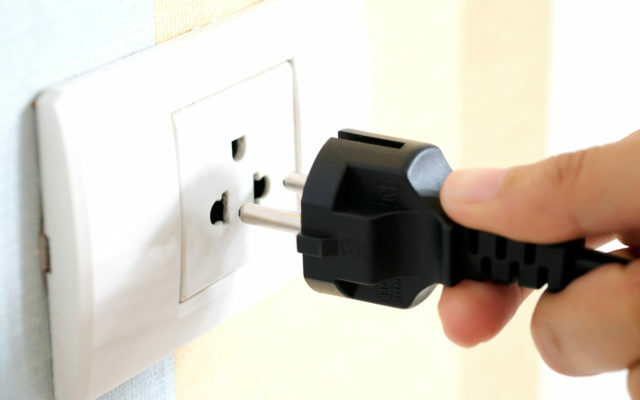 The scalability of not only Ethereum, but basically every blockchain is a problem that nobody wanted to hear about and feared it till 2017, when the project Cryptokitties exponentially gathered popularity and started to slow down the network and got the prices of gas so high that everybody agreed that this should be the problem no.1. 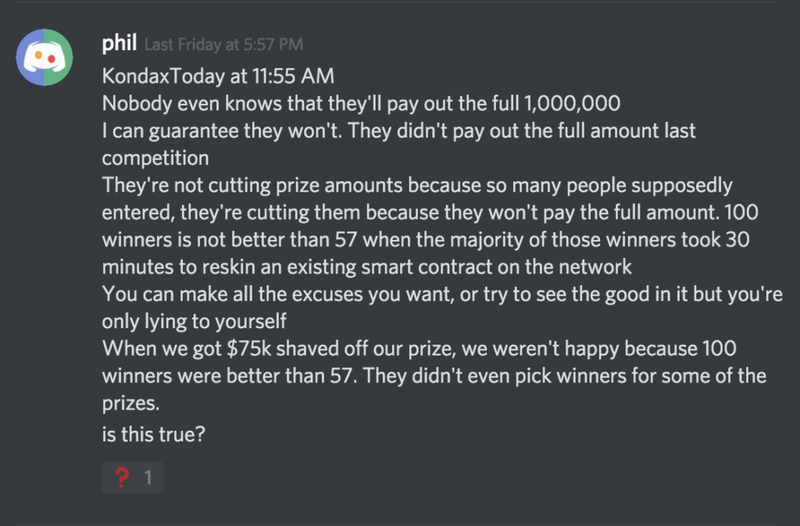 Tron’s accelerator competition closed on 4 January with $1 million in prize money to be won, but now dapp developers are up in arms, if the outpouring of complaints on the discord channel are anything to go by. Glen Weyl is the co-author, with Eric Posner, of Radical Markets: Uprooting Capitalism and Democracy for a Just Society. Despite its subtitle, the book is decidedly pro-market, arguing that price mechanisms are invaluable tools for allocating resources and building healthy societies. But those markets have to be carefully designed to achieve that goal. 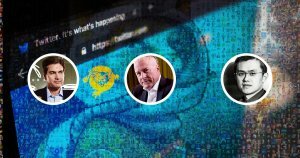 The following three conversations represent a wealth of knowledge from some of the biggest movers and shakers in the blockchain industry. During an interview for a podcast from Blockchain Insider – Vitalik Buterin, very respected and well known creator of Ethereum [ETH – third largest cryptocurrency by market capitalization], added his comments on the functionality and future of Bitcoin and Ethereum. Bitcoin historians will recollect that the early cryptocurrency pioneer Hal Finney was a person who believed in life extension and chose to be frozen in cryopreservation. 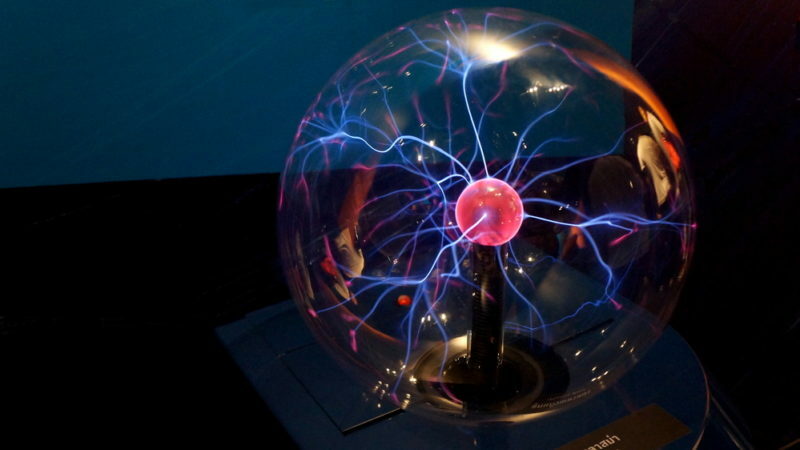 Now a recent report shows that a good number of well-known blockchain advocates are also convinced that an ‘extropian-like’ technology may extend the lives of humans in the future. 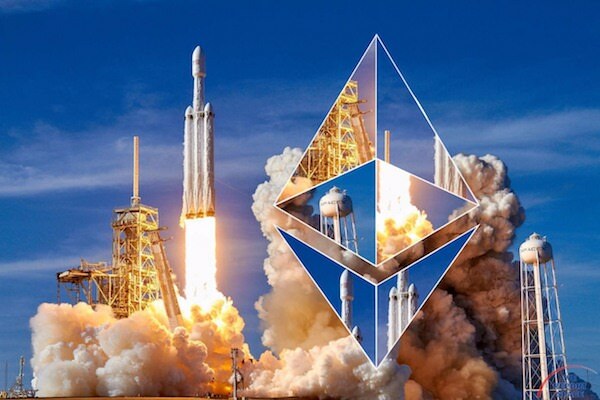 Although many are impressed by Bitcoin’s stellar performance in the past week, with the asset moving from a year-to-date low at $3,150 to a multi-week high of $4,200 within a few days’ time, Ethereum (ETH) outperformed the flagship cryptocurrency within the same time frame. A report on Thursday that blockchain venture studio ConsenSys was kicking underperforming projects to the curb and preparing to axe half of its workforce may have been overblown. The report raised alarm and sowed consternation among ConsenSys employees, many of whom were aware of the restructuring but had received no indication it would be so severe. Ether is slightly moving down on Friday, Dec 21, trading at $117.18, reports Dmitriy Gurkovskiy, Chief Analyst at RoboForex. 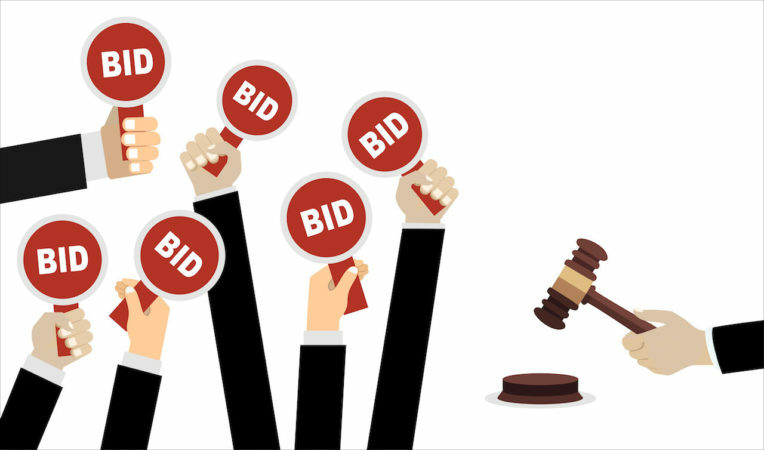 Vitalik Buterin surprised the crypto community after a seemingly sudden decision to make several $100K worth of ETH donations to various projects focused on the development of software solutions for the Ethereum network. I recently took part in ETHSingapore with three other engineers (Waihon, Wu Di and Lu Yu) from Rate3. Rate3 aims to bridge enterprises to the blockchain through open protocols for cross-chain asset tokenization and identity management. In 1982, with the push of a button, Vint Cerf shut down the entire network. 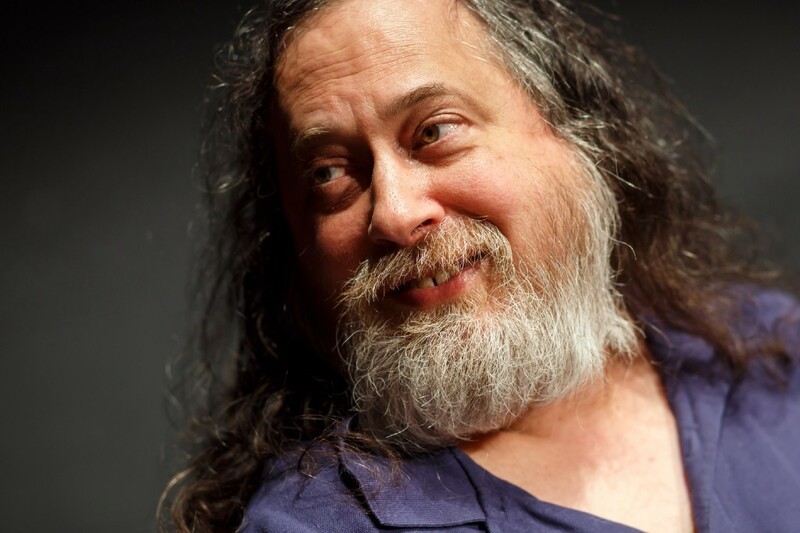 In doing so, he was making a clear point to each and every Military Researcher and Computer Scientist in the United States and around the world: TCP/IP was going to be THE standard way of communicating over the internet, whether they liked it or not. 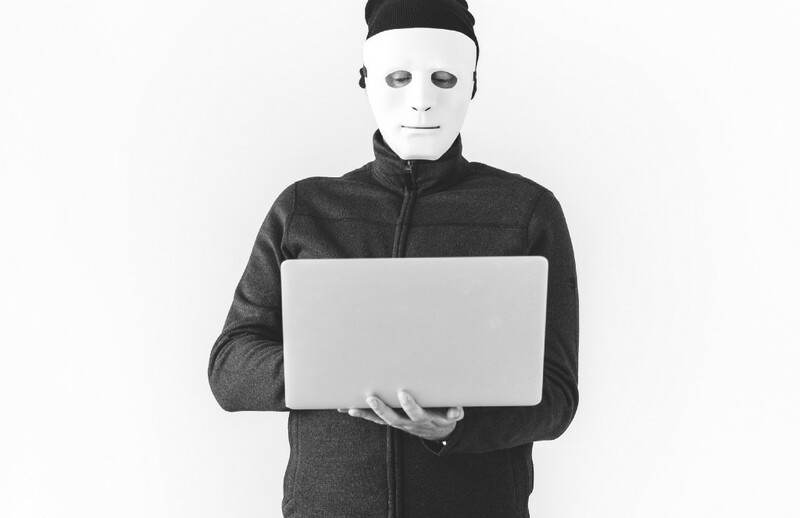 One of the worst things to happen to a proof-of-work cryptocurrency is a 51 percent attack. Such attacks undermine the immutability—and consequently the trust—in a blockchain. 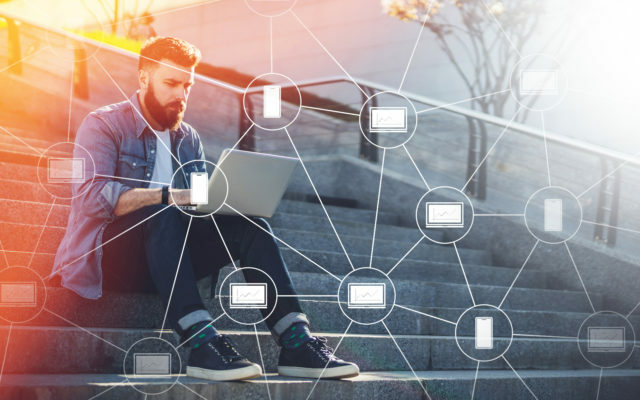 As reported by Ethereum World News in early-October, after developing Constantinople for months, the Ethereum core development team decided to take the blockchain upgrade to the network’s Ropsten testnet. 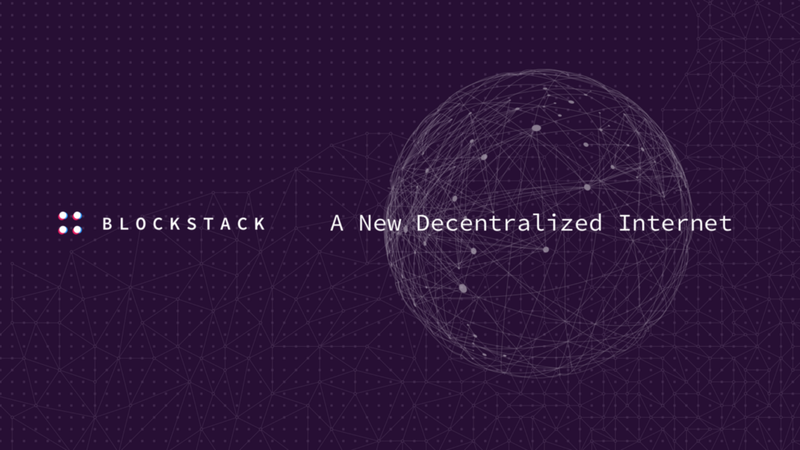 At the time, the developers believed that if the test succeeded, Constantinople, a protocol that will decrease block rewards and divert ASICs, would be uploaded to the mainnet by October’s end. Today, Zcoin implemented a new mining algorithm that hampers FPGA, ASIC, and botnet mining. Merkle Tree proof of work (MTP) has the potential to move cryptocurrency mining away from huge farms and back into the hands of crypto enthusiasts, once again decentralizing mining. 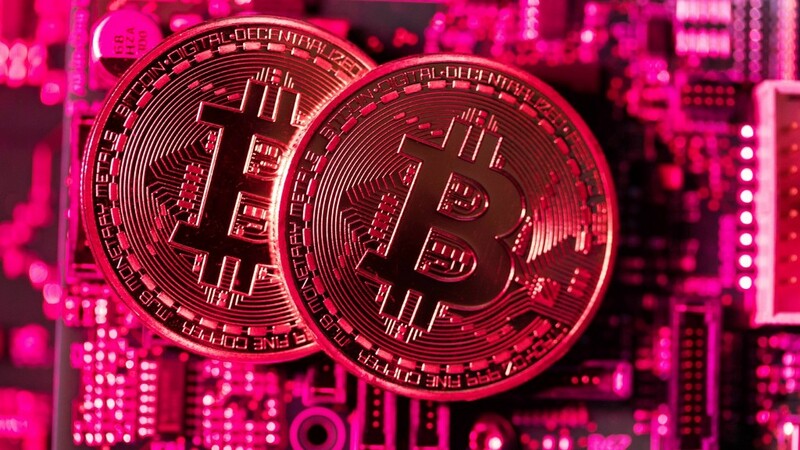 Binance Coin (BNB), Cryptocurrency, Exchanges–As the crypto markets show a slight recovery from yesterday, with Bitcoin climbing above $4000 again to show a tentative trading range, a little talked about coin is leading the pack in 24 hour gains. Naeem Alsam, a crypto-friendly contributor to Forbes and the Chief Market Analyst at ThinkMarkets, recently sat down with CoinTelegraph in the outlet’s “Time To Buy Bitcoin [BTC]?” exclusive to discuss his opinions on the market, and where BTC could potentially bottom. 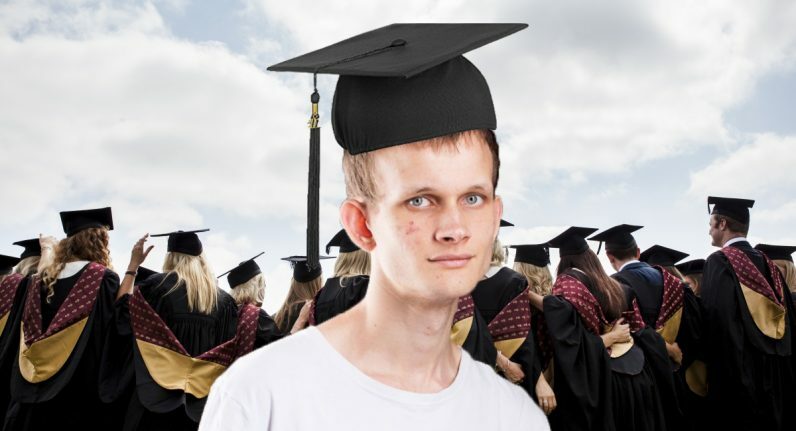 The creator of ethereum, Vitalik Buterin, has just been awarded an honorary doctorate for his work on blockchain technology. 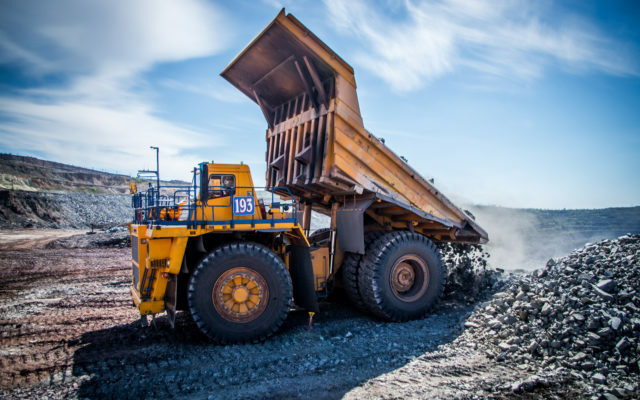 Blockchain, Cryptocurrency, Ethereum (ETH)–Despite the falling price of cryptocurrency, which has a hit a new low for the year as Bitcoin slips to $3700, the drive for companies to integrate blockchain into their services is still alive and strong. 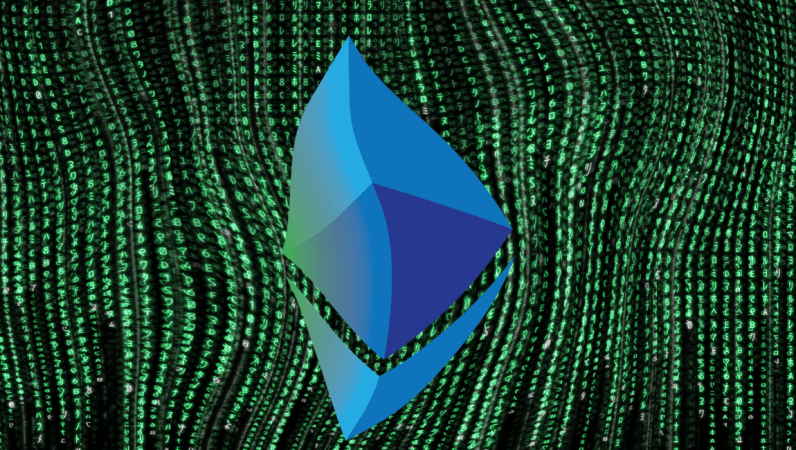 Ethereum’s new Serenity update, which will enable the network to transition from a Proof-of-Work (PoW) to a Proof-of-Stake (PoS) consensus model, has been generating a lot of hype in 2018. Apart from addressing the problem of scalability, the new chain also drastically reduces the cost for running a staking node in Ethereum 2.0, it was unveiled in a tweet on Nov. 20, 2018. After four days of discourse, banter, and endless rivers of salt, a number of crypto exchanges have declared that Bitcoin ABC (ABC), Roger Ver and Bitmain CEO Jihan Wu’s preferred Bitcoin Cash client, will officially obtain the “BCH” crown, instead of Craig Wright and Calvin Ayre’s Bitcoin Satoshi Vision (SV).